Our care team can help you maintain your independence and dignity by providing medical and personal care right at your own home. Rest assured that the services we offer will be tailored to your specific condition. 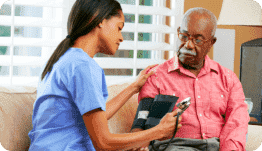 Our nurses and home health aides can take care of your healthcare needs. Use different therapy intervention programs to avoid any health decline. 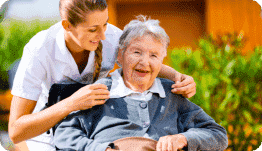 We can provide personal care to individuals with limited mobility. Take a look at the complete list of services that we offer. 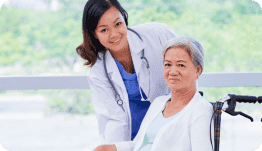 Ultimate Home Health Care is a licensed home health care provider that was established in 2001. We deliver health services to 12 surrounding counties in North Texas. We specialize in providing holistic care to our patients to help them regain their independence and achieve an improved quality of life. Our healthcare team is composed of registered nurses, health aides, therapists, and attendants who are well-trained in rendering the services you need. 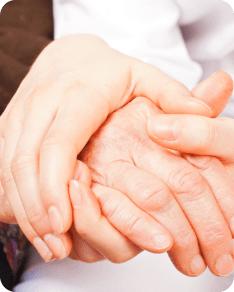 Our mission is to participate as an active part of the community, in providing and continuously improving the home health care needs of the patients by delivering value-driven, high-quality and compassionate care. How was your experience working with us? Let us know by completing our survey. Take a look at the testaments of our hard work and passion in offering quality services. Get your personal copy of our brochure by clicking the link below. Click the button below to verify if your location is within our service areas.